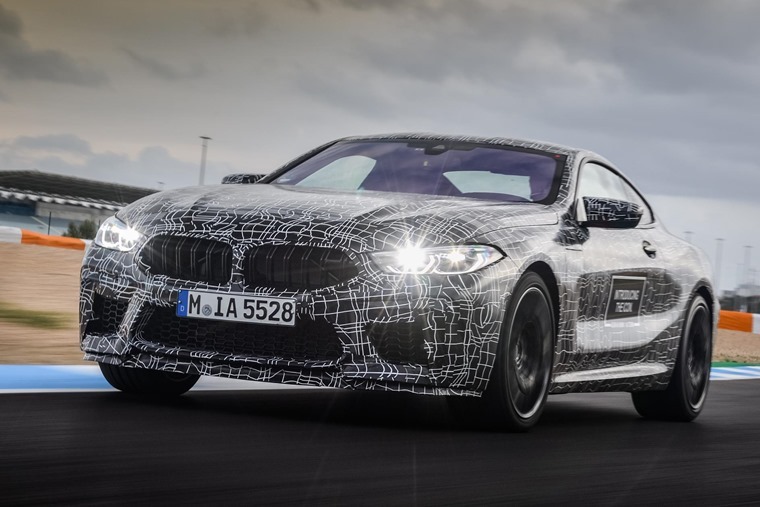 With orders set to commence for the all-new BMW 8 Series this month, the company has now confirmed a performance M8 variant is set to launch in 2019. The new flagship coupe has only been seen in its camouflage as of yet, but externally it’ll get M-specific trim and details that set it apart from the standard 8 Series. The M8 features the same 4.4-litre twin-turbo V8 that features in the current M5, and will be tuned to produce more than 600bhp. BMW is yet to reveal official performance stats, but we know combined fuel economy stands at around 26mpg, and it produces 246g/km of CO2. It’ll utilise BMW’s rear-biased xDrive four-wheel drive system, while other M-specific optimisations include increased levels of body rigidity, suspension upgrades and a two-wheel drive mode. More info will be released in the coming months, with four-door Gran Coupe and Convertible versions set to follow the launch of the Coupe. If you can’t wait for the M8, you can check out the standard BMW 8 Series here – it’ll be available to order in the coming month.